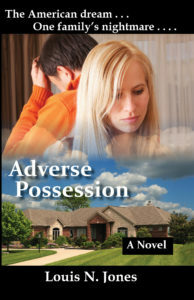 The following excerpt is from a Christian suspense novel entitled Adverse Possession, an eBook released on October 1, 2013. A family comes home from an overseas trip only to find that someone has taken over their beloved home. The police can do nothing about it, and the possession actually appears to be legal. Their struggle to get their home back tests their faith, their marriage, and puts them in more danger than they ever would have imagined. It was a Wednesday morning in February. The residents of McLean, Virginia awoke to clear blue skies and weather chilly enough to whiten the dew that had fallen overnight on cars and lawns. Lottie’s normal routine would go unchanged. At 7:00 a.m., she awakened and immediately switched on the TV to watch Charlie Rose. The TV was a 25-inch flat screen her daughter gave her last year for her 65th birthday, and it allowed her to spend time with Charlie in lifelike high definition. She delighted telling friends she had such a crush on him. At her age, calling it a crush was hardly apropos. Nonetheless, it made her feel more youthful and alive to try to cling to some trappings of her childhood, though most of them had long passed on. 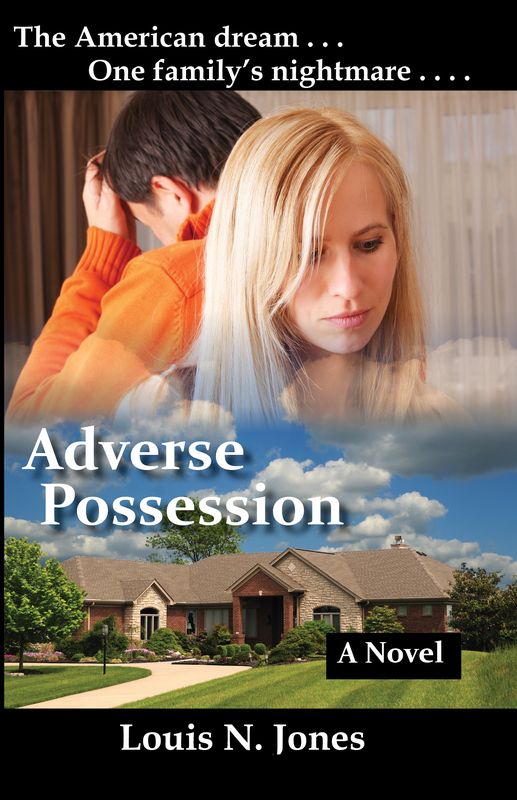 By 7:30 a.m., she was downstairs switching off the burglar alarm near the front door. A woman her age living alone could not be too careful, she thought, though FairfaxCounty police had not answered a burglary call on Bynum Drive in ten years. It did not bother her that her alarm code was the same as her ATM code, which was the same as her daughter’s gate code at her home in Sterling, which was the same as the month and day of her daughter’s birthday. The fewer numbers she had to remember, the better. Lottie could tell that the kid who delivered the Sun Gazette this morning was the lazy rascal who rarely got out of his car, but tossed the paper from his driver’s side window. Because her house, like most of the houses in the neighborhood, had front lawns about the length of a basketball court, the paper usually landed somewhere in the middle of the driveway, or on the top of her car. When this happened, Lottie had to walk down the driveway to retrieve the paper. However, this morning, the paper landed in the middle of the yard, which meant it would be damp from the dew. Lottie grunted as she walked in the yard to retrieve her paper, the icy dew crunching under her slippers. She really preferred the kid who would walk up the driveway and place the paper neatly inside the mailbox, which was on the wall just to the left of her front door. Over the past two months, Lottie K had added one slight thing to her routine. She glanced quickly at the five-bedroom split-level ranch-styled house directly across from hers on Bynum Drive to make sure everything was okay. She had grown quite fond of the owners, a young couple who had bought the house just over a year ago for $950,000. Shortly after moving in, Jesse and Jennifer Kane saw Lottie in her front yard pruning the wild hydrangeas framing the eastern edge of her driveway, and they came over and talked with her. They talked frequently in the coming days and weeks, and their talks sometimes lasted for more than an hour. Whenever Lottie’s ten-year-old granddaughter, Kaitlyn, came to visit her from Sterling, the Kane’s two children, eight-year-old Ashley and seven-year-old Aiden, would entertain her in their spacious basement, play the latest video games, and enjoy marathon couch potato sessions with Adventures in Odyssey. The Kanes had even invited Lottie to their church a few times, although Lottie was Catholic, and the Kanes’ worship style was the loud hallelujah, lifting of the hands, falling prostrate on the floor, twirling in the aisles kind. Lottie couldn’t really get into their worship style, but found the Kanes to be genuine and loving people, and connected with them based on their mutual admiration for each other. Consequently, Lottie agreed to keep an eye on the Kanes’ home while they were away on a missionary trip to Haiti. In a neighborhood as quiet and uneventful as Bynum Drive, the responsibility amounted to nothing more than making sure the UPS man hadn’t placed any unexpected packages on their front doorstep. She did not need to worry about mail, because the Kanes had their mail temporarily held at the post office. The Kanes had left Lottie with the key to the house in case there were any emergencies, and in the past two months, she only needed to use it once. Two weeks ago, during heavy rain, she went to check the basement to make sure the rain did not flood it, as the sump pump was renowned for being lazy and finicky. This morning, Lottie’s quick glance at 6609 Bynum Drive found nothing out of order, so she went back inside her home to prepare for work. Today was a work day, so she could not salivate over Charlie Rose another hour. Instead, she had to shower and get dressed for her part-time fill-in receptionist job at Woodmore Associates, PC. Attorney Neil Woodmore had allowed his regular receptionist to attend morning classes at NorthernVirginiaCommunity College on Wednesdays, so Lottie K earned a few extra bucks, besides her social security checks, by filling in. After a quick bowl of muesli, Lottie reemerged from her home, climbed into her green Nissan Sentra, and headed off to work. Unbeknownst to Lottie, someone was watching her every move. From the moment she emerged from her house, to the moment two minutes later when she started her car and pulled out of her driveway, eyes were focused on her. Eyes watching through the window from inside the master bedroom of 6609 Bynum Drive. Jesse and Jennifer Kane disembarked their flight at FortLauderdale-HollywoodInternationalAirport at 9:17 a.m. Jesse could not stand planes, and could only tolerate one flight per day. Once they cleared customs, they picked up a Lincoln Navigator at the Avis car rental booth, loaded seven bags of luggage into it, and began the twelve-hour trip up I-75 toward Knoxville, Tennessee. They had been in Haiti for more than two months, and were anxious to get to Jennifer’s parents’ house to reunite with their kids. “Slow down a bit, honey,” Jennifer said to her husband, watching as the roadside palm trees whizzed by so fast, she could barely count them. That was Jennifer, always the voice of reason. It was one reason Jesse married her. The others were her compassion, her soft-spokenness relative to his own, and her passionate faith in God. Jesse cited these reasons whenever Jennifer asked him the question, Why did you marry me? The question came occasionally, usually when Jennifer suffered one of her frequent bouts of insecurity. Why would Jesse, a preacher’s kid and eventual heir to the throne of one of the East Coast’s biggest Pentecostal churches, be interested in Jennifer, the daughter of a manufacturing plant worker and a stock clerk at Hackney’s? With Jesse’s pedigree, he could have married someone worldlier and more sophisticated than Jennifer. Despite Jesse’s frequent displays of love for her, Jennifer felt that he was too good for her. They met ten years ago, during a Christian financial development conference led by Jesse’s father, Rodereck Kane. The small church that held the conference was booked to capacity within days of the conference being announced on WKCR radio. Jennifer Trudeau was lucky to be able to get three tickets before the closing of registration. She had frequently listened to Rodereck Kane’s national broadcasts, particularly his signature message of living in prosperity. His message resonated with her because she wanted that type of life for herself. Growing up with her parents in Knoxville, they were never quite poor, but were always a paycheck or two from being there. Her dad usually started work the same time her mother got home from work, so she saw her parents together only on weekends. Her parents barely earned enough to pay the mortgage on their three-bedroom rambler on Pelham Park Road. When they paid for groceries and other necessities, there was nothing left over for luxuries such as shopping or a night out at the movies. It was a hardscrabble life that Jennifer had no interest in emulating. Yet Jennifer so loved her parents that any opportunity she could find to get them out of the house for a night on the town, she would. Since the conference tickets were free, she invited her parents to attend with her. Neither of her parents had been to church much since the days her grandparents dragged them off to church on selected Sundays, and they had little interest in déjà vu. However, since their daughter went through the trouble to obtain the tickets, they agree to attend. The day of the conference, Jennifer and her parents arrived early and found seats near the front of the auditorium. The conference began with fiery worship and praise for about thirty minutes, then moved to a heartfelt greeting and welcome from the host pastors. About forty-five minutes after the start of the program, Rodereck Kane took the stage. Tall and thin, but not skinny, he led the congregation in an exuberant praise to God. His hands were lifted, his eyes blue and earnest, his crow’s feet barely visible under his makeup, his almost impossibly well-coifed jet-black hair glimmering in the glow of the overhead lights. His voice was strong, with just the right measure of bass to give it a commanding, authoritative vibe. When he launched into his presentation, talking about the spiritual aspects of money, the Trudeaus paid rapt attention. Midway through his talk, he brought another minister to the stage. Jesse Kane was almost the mirror image of his father, but more muscular and chiseled, revealing he had spent more time in the gym than his father. Jesse Kane gave a testimony about how following his father’s financial principles got him through bankruptcy in his early twenties and needing to give up his first home. During his talk, he looked around the audience and made eye contact with several people, as his father had taught him to do to connect with his audience. When he made eye contact with Jennifer, he no longer looked at anyone else. Jesse would describe it as divine providence that Jennifer Trudeau caught his eye. After all, she was cute, but not remarkably gorgeous. The ends of her blond hair brushed her shoulders, and a slight run of barely noticeable freckles ran from cheek to cheek. Her bangs hung like a valance above her dark brown eyes, and she wore no jewelry or makeup–not even lipstick. She was model slender, but not skinny, and she wore a simple cream-colored blouse and blue jeans. She bore a striking contrast to a few of the other women seated in the first two rows. These women were dressed to the nines, complete with short three-figure skirts, legs crossed and heels dangling from well-manicured feet, décolletages slightly restrained and respectable for church but still prominently on display. These women were on the prowl for financially secure single ministers who were lonely and looking for love, and Jesse seemed to fit the bill. Jesse was financially secure, was the director of evangelism and missions at his father’s church, Harvest of Righteousness Fellowship of Manassas, Virginia. He was not lonely, but he was looking for love. That day, during the final leg of his several minute testimony, he could not keep his eyes off Jennifer, though she was the plainest looking woman at the front of the church. She would find out when, after the service was over, Jesse scrambled his way past several well-wishers to catch up with Jennifer, who was about to leave with her parents. They would only chat for a couple of minutes, while her mother stood by watching, and while dad went to get the car. It was enough time for him to tell her that he wanted to get to know her a little better. She would say, nonchalantly, “I’m not interested.” Nevertheless, it was okay. Jesse would not press. After all, if God had meant for the two of them to be together, God would make it happen. Divine providence came again when Jennifer’s mother, under the guise of having forgotten her cell phone, returned to the church, found Jesse greeting other guests, and gently interrupted him. Sammie Trudeau gave Jesse a piece of paper with Jennifer’s cell number written on it, and said only, “Call her. She’s a little shy, but she’ll warm up to you.” Then she left as abruptly as she arrived. Sammie was not normally in the business of playing matchmaker, but she knew a good catch when she saw one. At the time, she had been married to her husband for twenty-two years, and they were married a year after Jennifer was born. Their marriage had their fluctuations, but she knew that Harlan Trudeau was a good man, and she would not trade him for all the tea in China. As Sammie suggested, Jesse called Jennifer, and Jennifer immediately bucked. Fifty things went through her mind. Why would this proper gentleman be interested in me? On what level can I relate to him? What do we have in common? 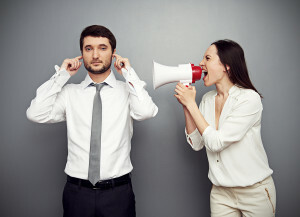 She hoped he was not one of those rich men who liked to slum it in the ghetto, searching out chicks with no profile, pedigree, or connections, have their way with them, and then slip them a few bucks to keep quiet. That was something those rich men could not do to rich socialites, not without Wendy Williams talking about it on TV the next day. Jennifer decided she would humor him. After all, once he got to know the real Jennifer, he would hightail it in the other direction. She would tell him about her life growing up right next to a trailer park. She would tell him about the time she smoked a joint in Bobby Simons’ rusty Mustang in the Shoney’s parking lot. She would mention that during a two-year period in her life after she graduated from AustinEastHigh School, more guys spent the night on top of her than a Sealy Posturepedic. She fully expected that he would lose her number, like so many other “good” men that had approached her. Nevertheless, Jesse would not budge. He continued to call her, night after night. Rather than focus on all the negative aspects of her life, he preferred to focus on her life since she accepted Christ. He wanted to talk about her goals, and her aspirations and what God was doing with her. He spent many hours listening to her talk about her parents, her grandparents, her aunts, her uncles, her cousins. He wanted to talk about her life growing up as an only child, since she he was also one. He even confessed a few sins of his own as a teenager growing up in suburban Virginia, including the time he passed out after winning a drinking game at a college party, and several occasions of lying. He also spoke candidly about his father’s divorcing his mom when he was eighteen years of age. The confessions removed his “golden boy” sheen, but humanized him in Jennifer’s eyes. After two years of dating, they were married in a small Baptist church in downtown Knoxville. It was a wedding attended mostly by the relatives of the bride and groom, along with a few select friends. Rodereck Kane officiated over the wedding, mostly to keep up appearances. Still, deep inside, he loathed his son’s choice of a wife. He would have preferred Jesse to marry one of the bourgeois “well-bred” single women at his church. He did not care if Jesse married pretty or ugly, black or white, thin or fat, if she had a pedigree that was in keeping with a successful minister. With Jennifer’s past involving drug use and promiscuity, she did not have a dog in that fight. Rodereck was glad that at least Jesse insisted that Jennifer get a blood test before they married. They were riding past Valdosta, Georgia when Jesse’s cell chirped out “Amazing Grace” at twice the normal beat. Jennifer grabbed his phone from the armrest compartment and checked the caller ID. “Who is it?” Jesse asked, his attention never wavering from the road. She heard about five seconds of silence before she heard a click. She again looked at the phone display and, confirming the call was disconnected, placed the phone on the seat beside her. “Probably one of your girlfriends callin’ you,” she said. Jesse scoffed, knowing that Jennifer was only joking. He also knew that she had never completely let go of a slight belief that he was receiving clandestine telephone calls from other women. Nonetheless, he had to reassure her. “Honey, I would never cheat on you. You know that,” Jesse told her. “Would you feel better if I told you that, statistically, there’s an 80 percent chance that I will cheat on you?” Jesse said, quoting a statistic that he read in some blog. That statement angered Jesse so much that he pulled off to the side of the road in front of a shopping mall. He firmly placed the car in park and looked at Jennifer intently. Jennifer stared straight ahead. The vroom of cars whizzing by punctuated the silence. She turned to him, searching his eyes. 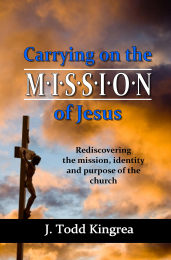 Connect with us at Dove Christian Publishers for more information about this publication.